Wise Elephant is sleeping! After 7 years of trudging ahead into the future, the Wise Elephant is now resting. Thank you Wise Elephant for all of your mighty efforts, great fortitude, and ever present wisdom! 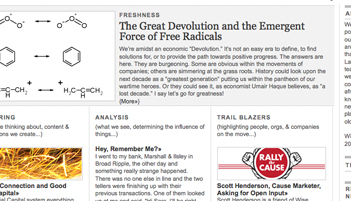 Elefant.tv: Our company blog where we offer insight, analysis, and point out the trailblazers leading the way forward. 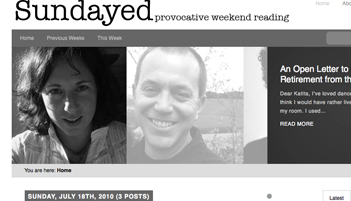 Sundayed.com: A weekly handful of thoughtful blog posts meant for weekend reading. Our contributors range from thought-leaders to playwrights to freelancers.